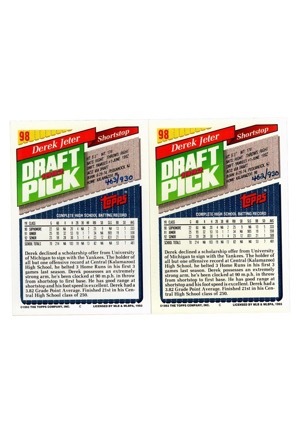 Two 1992 Topps Derek Jeter “Draft Pick” #98 baseball cards. 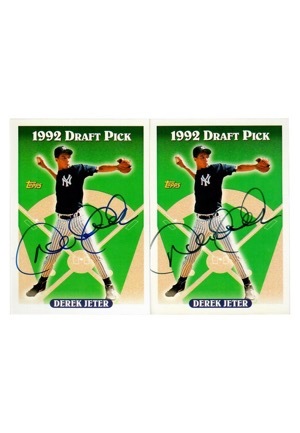 Jeter signed the front of both cards in blue ink and in our opinion the signatures rate a combined 8.5. 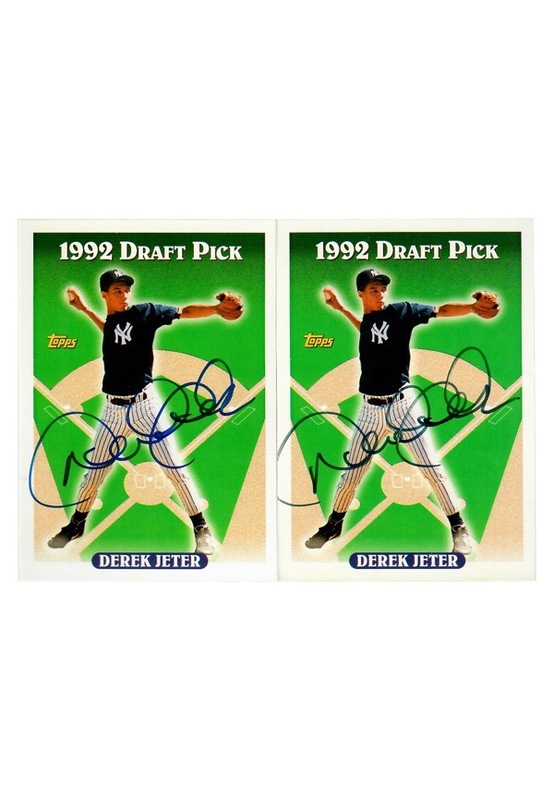 The cards are limited edition numbered 462/930 and 463/930. Accompanied by a LOA from JSA.